Writer. Communications Strategist. Creative at large. Currently: Senior writer for Coast Mountain Culture magazine. 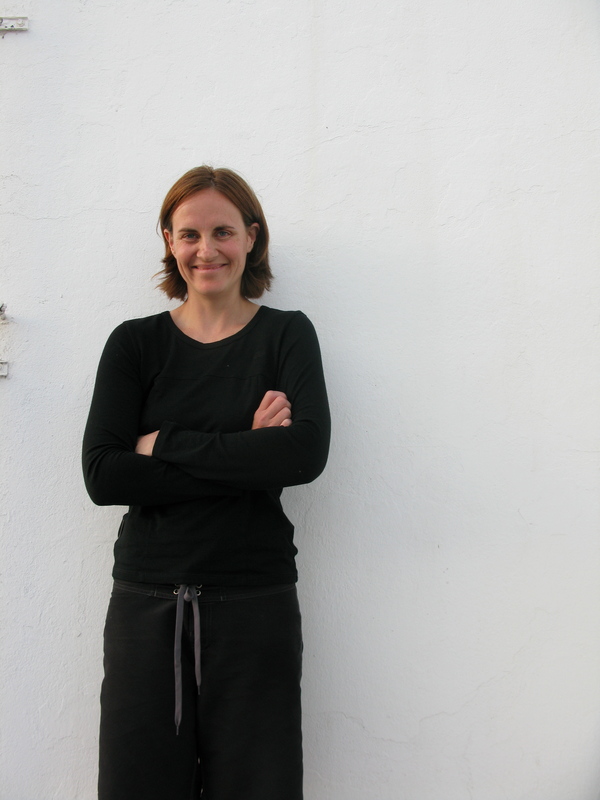 Editor of the Winds of Change’s Wellness Almanac. Velocity Project columnist in Pique newsmagazine. Content for Patagonia, Arc’teryx, and Kicking Horse Coffee’s Full Press journal. Freelance strategy, grant-writing, copywriting and journalism for select clients and publications. Formerly: Associate Creative Director at Origin Design + Communications, hypewriter for Crankworx, PR machine for the inaugural Enduro World Series, the Whistler Writers Festival, Slow Food Cycle Sunday and Director of Communications of the World Ski and Snowboard Festival. Communications wingman for the Squamish Lillooet Regional District. Social media strategist for Mile One Eating House. Occasional social media manager when a state of emergency is declared in the SLRD. Columnist with the Whistler Question. 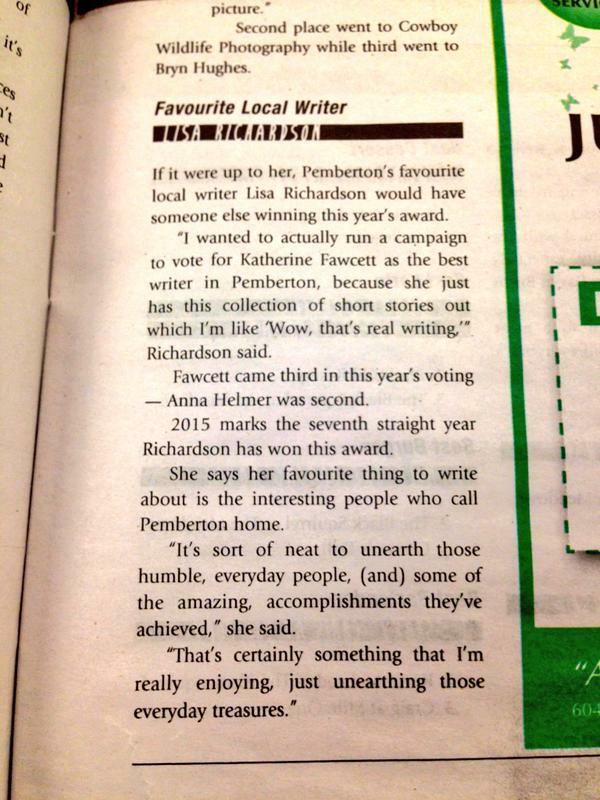 I have lovely distinction of being voted Pemberton’s favourite writer 11 years in a row. Longform girl in a short form world. Someone called me prolific, which is a nice way of saying I still need to #SlowTheFuckDown. Hi Lisa! I’ve just come across your website and you’re smart to have left your email address off of it because if I could find it I would be writing you a big, embarrassing, gushing email about how grateful I am to have found your voice at this exact point in my life/career and how it’s going to take a week but I’m going to bookmark your blog and read absolutely everything on it. Not in a crazy person way. Just in a sincerely admiring way. It would sound better in an email than in this comment but it will have to do. Many, many thank yous and high fives. Wishing you all of the best! Hi Lisa, I just read your piece in the Patagonia catalogue and loved it. Consumed and saddened by distressing politics in the lower 48, I was refreshed by your words. Thank you! Lovely bumping into you amongst the Patagonia pages. Thanks Rita, I appreciate that immensely. And your effort to track me down and leave a note. You guys just fkn blew me away…your alchemy of words. just so so brilliant wooops, I might have slipped up here…. Lisa, I dunno but I think you might be connected to another lisa….lisa Akeny…either way you guys are connected….I guess we are all connected…..I was connected to the memory page of your friend the late lisa Lebr…Korthal and I read, with tears flowing the article that you put together…like the crack of thunder, the boom of a canon out of the side of a turning ship, the frightening “phwwwump” sound of snow underfoot on on a southern slope, and my direction in life….it changed….you changed me…. for the moment I spent reading all about your friend the late Lisa…we’re all late for something, but I was just on time to find this – Please accept my sincere thank you, and would you pass it on…and on ….and on…. like we pass goodness forward..
ps you probably know steph (Wilson) in pemberton yes? yes, of course you do……..
Mr Mark, I am late to this party, and so sorry. belatedly, my deepest thanks for your kind and powerful words.